Why pour money down the drain when your Blocked Drain needs unblocking or cleaning in Southend. We here at Browns Plumbing offer competitive prices and an excellent quality of work to all residents in Southend and across Essex. • We offer a rapid and guaranteed solution to all your drainage problems. 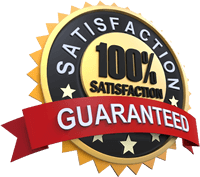 Any job no matter how large or small, from a blocked drain to renovation and replacement, blocked toilet, blocked sink, Bath, We Clear Blocked Drains in Chelmsford, Witham, Wickford, westcliff-on-sea, Leigh-on-sea, drain cleaning uk, all work is covered by our full guarantee. We offer some of the best prices in UK and if you find cheaper we will match it. Call us now on 01702 300929 and we will be happy to help. We are your local leading professional Southend emergency plumbers and drainage experts who offer a fully comprehensive emergency plumbing service for all domestic, commercial and industrial clients throughout Essex.